How does social media change how we talk about death? 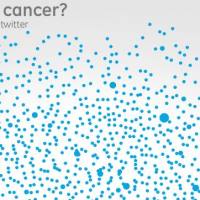 How might outlets like twitter shape and expand conversations around terminal illness? Tune into Late City Edition tonight at nine for a conversation with Meghan O'Rourke, writer and culture critic for Slate and the New Yorker. Drawing on her personal research and experience of her own mother's death, Meghan discusses cancer's place on twitter and the evolution of mourning rituals in a world that is both hyper-connected and hyper-disconnected.